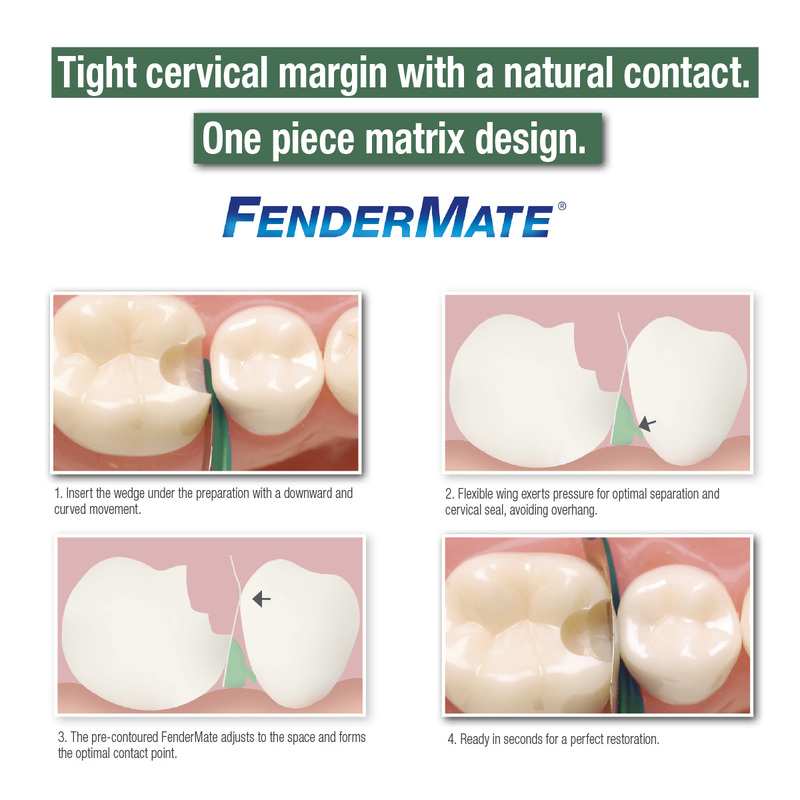 FenderMate is a pre-curved, one-piece sectional matrix and wedge that provides for quick, safe and predictable composite restorations, with a tight contact and cervical sealing. FenderMate is designed to be inserted either buccally or lingually. The matrix reaches from the base of the wedge to just above the occlusal surface. The side of the wedge facing the adjacent tooth has an angled wing. During insertion, the wing presses the matrix firmly against the preparation, giving a tight seal at the cervical margin. To form the contact point the matrix has a pre-contoured indentation, which mimics natural contours. 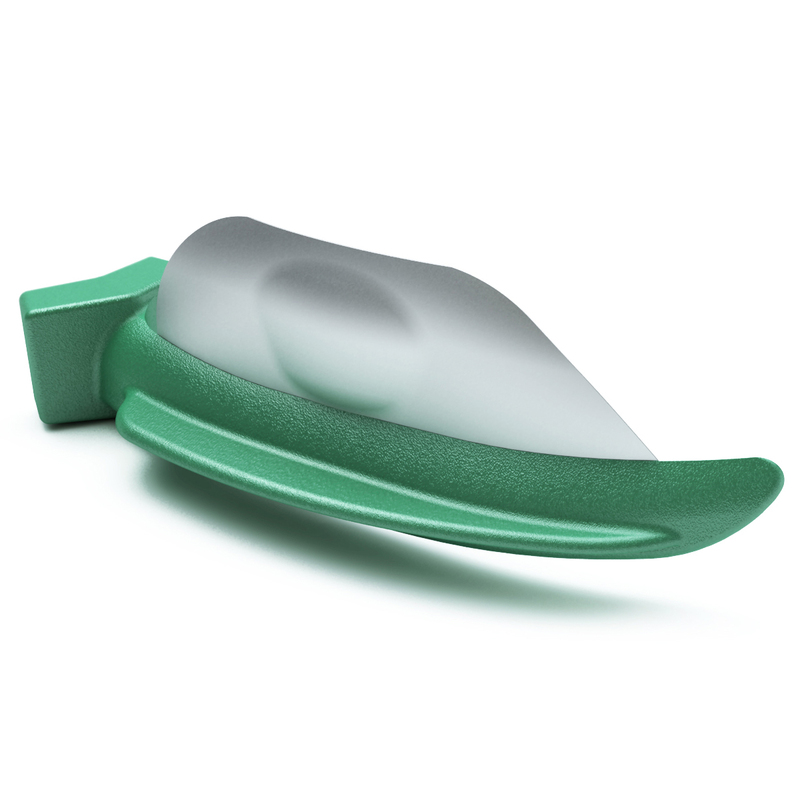 When rubber dam is not used, it is suggested to secure FenderMate with waxed floss. FenderMate is available in refill-, value pack or assortment and in two wedge sizes; Regular and Narrow. Regular sizes are dark in colour, while Narrow is light. FenderMate wedges are coloured either Blue or Green to define Left or Right side respectively.